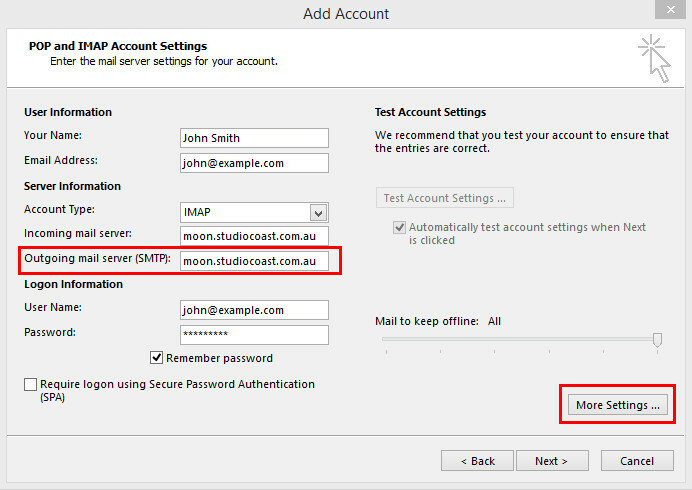 This guide is for changing an existing email account's SMTP server from your ISP to StudioCoast only. If you need to setup a new Email Account in Outlook 2013, click here and to setup a new Email Account in Outlook 2016, click here. 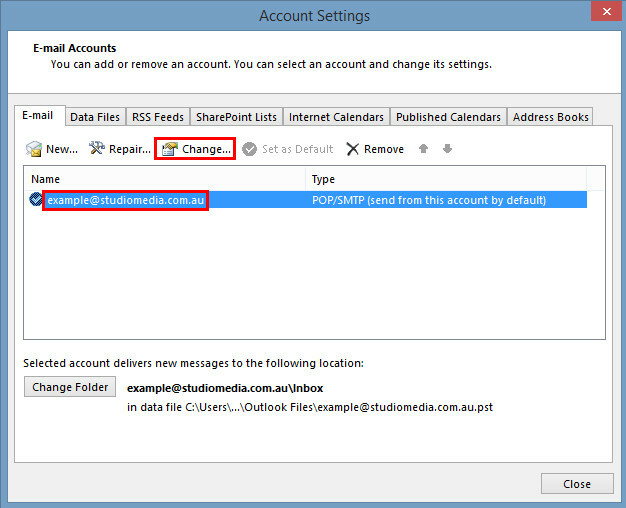 Open Outlook 2013 and Click the File Menu. 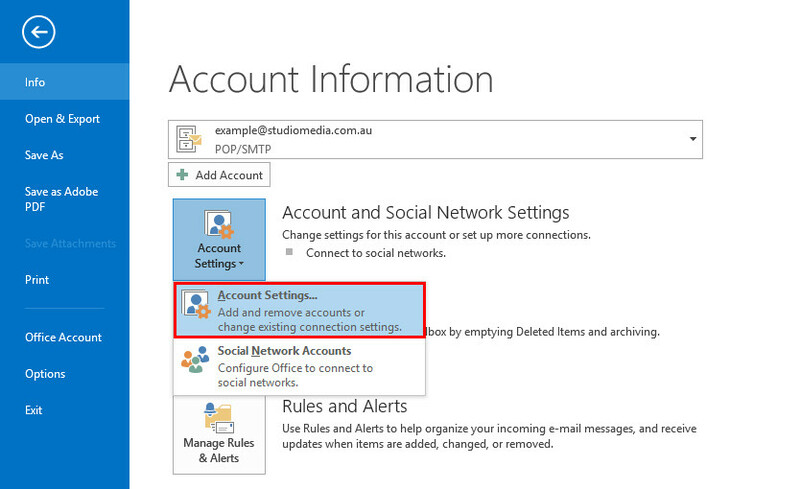 Next, select the Account Settings button and click Account Settings again. This will bring up your email account's settings. In the 'Outgoing mail server (SMTP)' field, replace what is in there with the same as your incoming mail server. These both must match. After that, select the "More Settings" button. In the same window, go across to the "Advanced" tab. 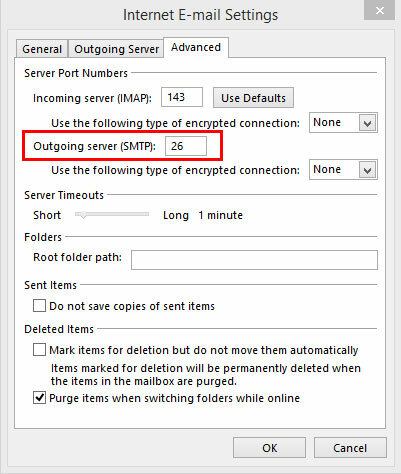 Under the Server Port Numbers section change the "Outgoing server (SMTP)" port number to 26. Do not change the incoming port number. Press OK to close and save. Select the 'Next' button in the email settings window to test and save changes. If you see a green tick next to 'Send test e-mail message' this means it is working successfully. 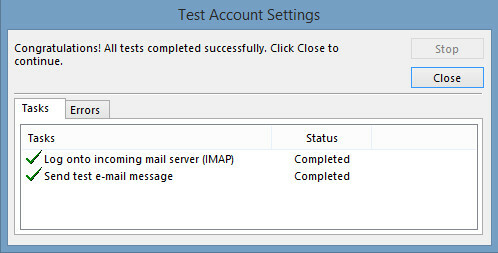 Click close on the Test Account Settings window and then Finish. 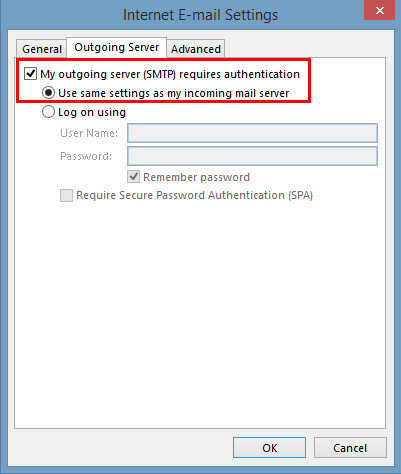 You are now ready to use your new SMTP Server to send emails in Outlook.